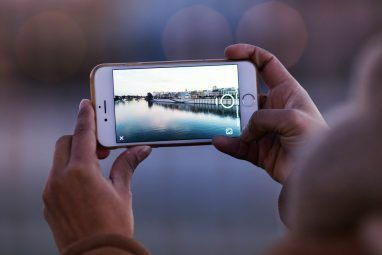 When watching professionally shot digital film – say, on cameras like the RED Epic or an ARRI Amira – it’s typically very apparent that you’re watching something that’s much higher quality than you could shoot with your iPhone. But why is that, though? What makes it so much better? Some people will say it’s camera resolution used, which is often true. 4K video Getting A 4K Monitor? Which Browser Should You Use? Getting A 4K Monitor? Which Browser Should You Use? Running Windows on a 4K monitor can be a huge boon to productivity. The large, pixel-dense space provides plenty of room to open windows. But will browser content scale well on your Ultra HD monitor? Read More and even 6K video can drastically affect image clarity. Then there are lenses – another major determining factor on the aesthetic of an image. 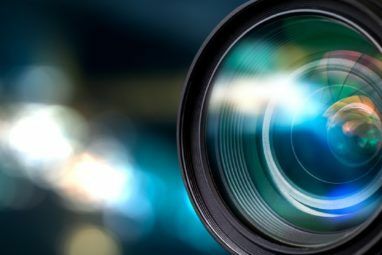 Lighting often plays a role, and frame rate can as well, but in most films, even on the indie status level, frame rates are pretty much a standard 23.976 or 25 frames per second. An often-overlooked feature of major importance is the camera’s dynamic range. In short, dynamic range is the sensitivity of a camera to light and how it affects different shades of color– and it’s got a huge part to play in getting that cinematic look. Think back to early game systems: we started with 8 bit color, and then 16 bit, and then 32 bit… The higher the quality of the system used, the more colors that could be used in the game, allowing for more complex images. Granted, it goes a little deeper than that. Essentially, dynamic range is the range of accessible light that a particular camera sensor can “see,” and it is often measured in something called stops. The more stops of light that a camera’s sensor can see, the higher the dynamic range. As we all know, colors are merely reflections of light into our eyes, so the higher the dynamic range, the more capable a camera is of seeing a color in all ranges of its brightness. A Canon DSLR Are You Getting The Most From Your DSLR? Are You Getting The Most From Your DSLR? A great shot is a split second event. Getting it right is knowing which camera feature to use and when. Here are ten DSLR features that could inspire you to power on your camera. 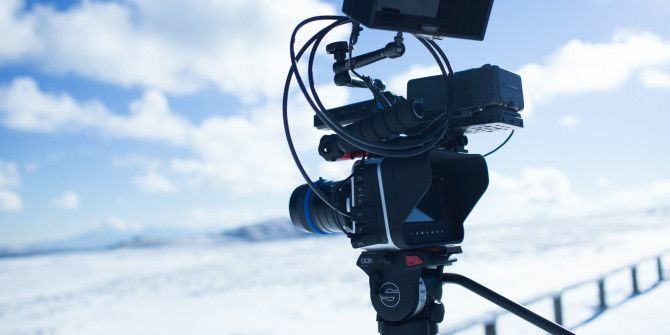 Read More typically has a dynamic range of something like 10-12 stops, while a professional-level cinema camera such as the ARRI Amira has a dynamic range of something like 14. This can be best shown in images of the sky, which often has a variety of lighting differences and color ranges. Above and below are a couple of videos showing the difference between a Canon 5D Mark III and the professional ARRI Amira. While the content isn’t exactly the same, you can definitely tell that the range of brightness and color is quite different. Due to color grades and post-treatments, the untrained eye may not see as much of a difference, and it may take a couple of views to really see. A good way to understand dynamic range is to simply look outside a window on a bright and sunny day. You’re going to be able to see the inside of the room you are in quite well, and at the same time, you’ll also be able to see the details of the colors outside. Now take out your smartphone, open the camera app, and point it outside, tapping the window to expose for the outside light. Here, you will notice that the camera only shows the colors and details outside, almost blacking out everything indoors. On the other hand, if you expose for the room, everything inside will be visible while the window outside is quite bright, almost white! There you have it: a simple exercise showing why having good dynamic range on your camera (and eyes!) helps. Nothing can compare to the human eye, but we can strive to get as close as we possibly can. The goal – at least from a technical perspective – is to get to a point where a camera can expose both for the indoor and outdoor light properly. Hopefully, and this is just from a hypothetical perspective, dynamic range could eventually be a setting on one’s camera quite similar to aperture, ISO, or shutter speed, for a more stylistic preference. Often, many filmmakers take advantage of the soft white light windows provide to a darkened room on camera, only exposing for whatever is inside. With a higher dynamic range, this could prove to be difficult since the camera would finally be able to “see” the outside as well as the inside. In photography, cameras have the option for capturing “high dynamic range” It's Time We Had a Word About Overdone HDR Photography... [Opinion] It's Time We Had a Word About Overdone HDR Photography... [Opinion] HDR stands for High Dynamic Range, and in photographic terms generally produces an image where the entire scene is balanced, and evenly exposed. Recently I’ve not been seeing much of this on the web. I’m... Read More elements, which is somewhat artificial in that the camera captures multiple exposures of an image and then compiles them for an ideal image. It’s also often misused, creating strange images with ugly color ranges It's Time We Had a Word About Overdone HDR Photography... [Opinion] It's Time We Had a Word About Overdone HDR Photography... [Opinion] HDR stands for High Dynamic Range, and in photographic terms generally produces an image where the entire scene is balanced, and evenly exposed. Recently I’ve not been seeing much of this on the web. I’m... Read More that really… well, just don’t make sense. All in all, it just comes down to exposure limits and the range of visible light. Simple stuff. Your compact camera and smart-phone probably have a dynamic range of around 5 to 8, DSLRs are 10 to 11, and professional cinema cameras are around 13 to 14 (and looking at 15). How have you used dynamic range to your advantage? Explore more about: Digital Camera, Record Video. Question on the window photo.... How many stops of dynamic range would be needed to have the inside AND outside of the room properly exposed in that shot? I must say, this is a well written article. kudos to the author! Great article! I started shooting with a Blackmagic Pocket Cinema Camera which I got as a Christmas gift last year. Prior to that I have always shot with cameras that have less then 12 stops of dynamic range. When I started shooting with the Pocket Cam combined with good color correction I noticed right away how much of a difference the 13 stops of dynamic range makes. How the camera sees light is very different and you can create a look that is not only more natural but much more film like. It made me more aware of the importance of good lighting when you have a tool that can handle the contrasts between light and shadow. I would always prefer now larger dynamic range cameras to ones with lower dynamic range but larger sensors. This is the first article that has made me understand this. Excellent job! Awesome post, Joshua! 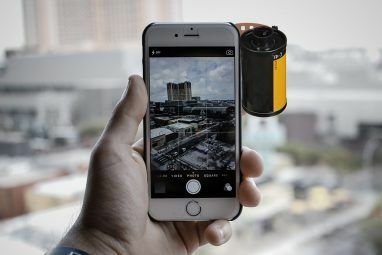 I've never really read much about this before, so it's all new and interesting, though I'll be waiting until my new DSLR arrives before playing around with this- it's explained why I get so damn frustrated while taking pics with my iPhone though! The other work-around in still photography is neutral density filters (ND), typically applied to dim down the brightness of overhead (sky or other) light sources. If memory serves the way human eyes deal with +/- 20 stops of light difference is by fixating on parts of a scene moment to moment, adjusting to the brightness along the way and then putting all the data points together in the mind's eye. This is literally *dynamic* range since light values are adjusted in real time.